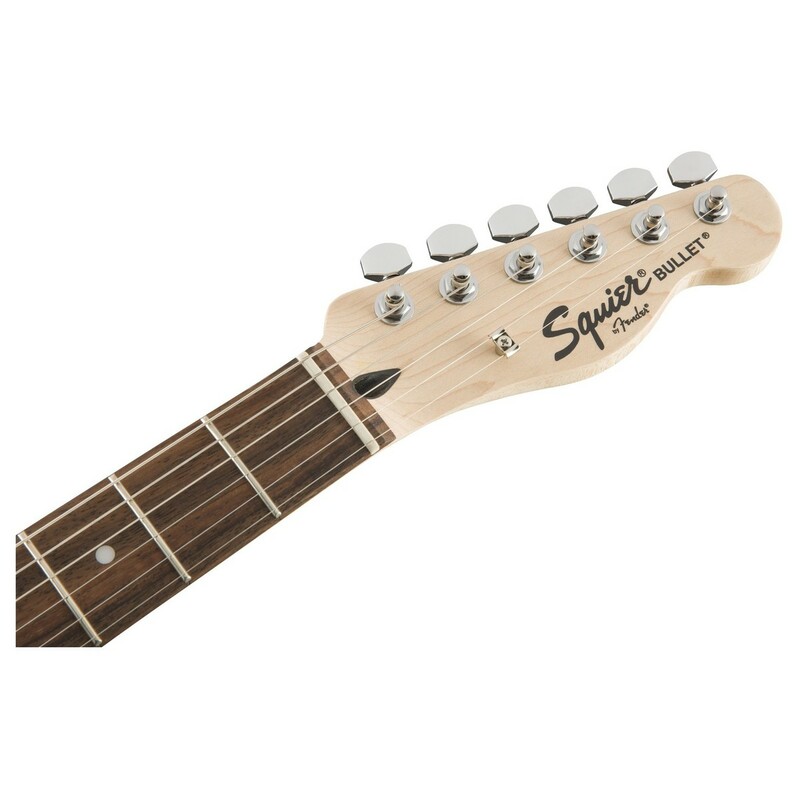 Squier's FSR Series of guitars are budget friendly yet they deliver excellent performance and a classic appearance. 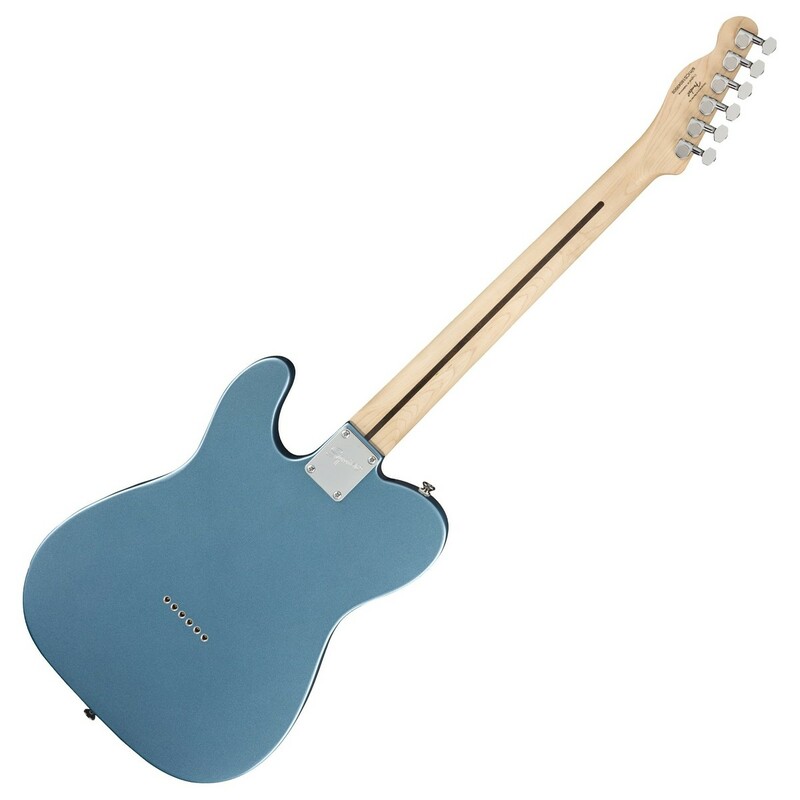 The Squier FSR Bullet Telecaster features an alder body, delivering an overall balanced tone with excellent definition. With a solid hardwood neck and a laurel fingerboard, the FSR Bullet Tele offers enhanced warmth and depth for a truly stunning tonality. The Telecaster's natural tone is projected with a pair of Standard Tele Single Coil pickups, that provide classic Fender tones. 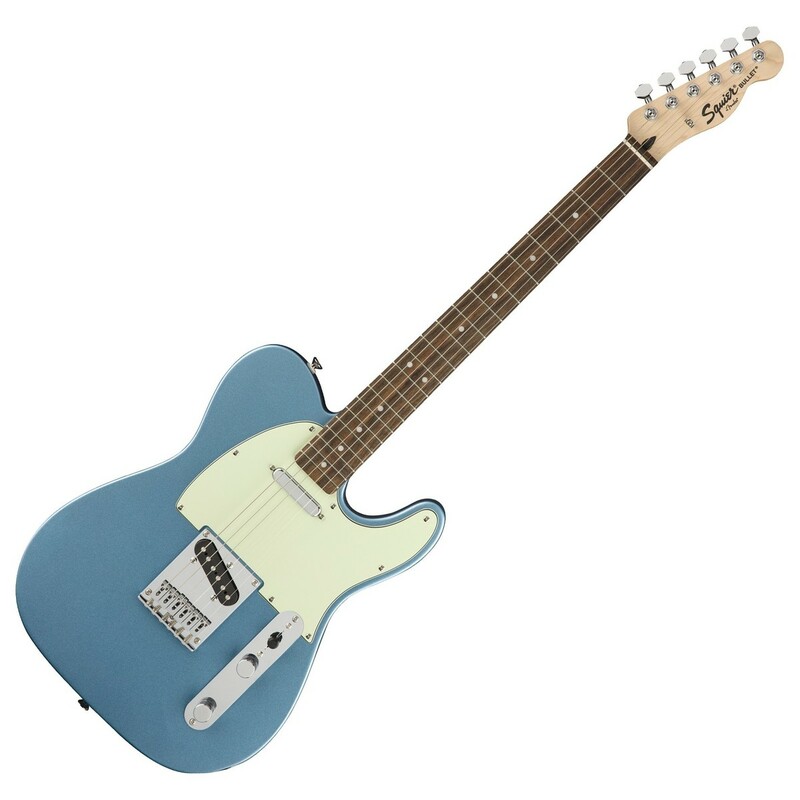 Complete with a vibrant Lake Placid Blue finish and a Mint Green pickgaurd, this Bullet Telecaster is sure to stand out on stage. This Squier FSR Bullet Telecaster is ideal for beginners, and any aspiring guitarists who require that classic Fender experience. This Squier FSR Bullet Telecaster is loaded with standard single-coil pickups are infused with the soul of Fender, offering all the classic tones associated with fender. 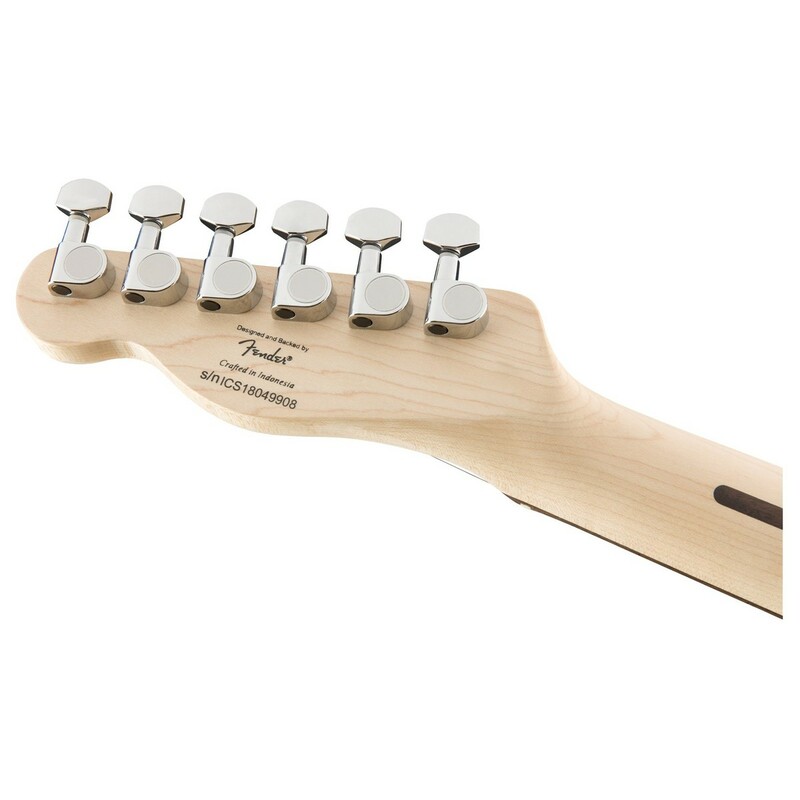 A toggle switch, Tone control, and Volume control provides excellent tone shaping capabilities, allowing players to dial in the perfect tone for their playing style. Alder is favoured by most players for its incredibly balanced tone, offering the perfect dynamic range to suit most musical styles. The alder body is perfect for playing a wide range of musical styles, with its excellent sustain and resonance ensuring each note is heard. Its bright, sizzling highs, rounded lows, and beefy midrange sets up the foundation of the guitar's overall tone, allowing players to achieve the perfect sounds for most playing styles. 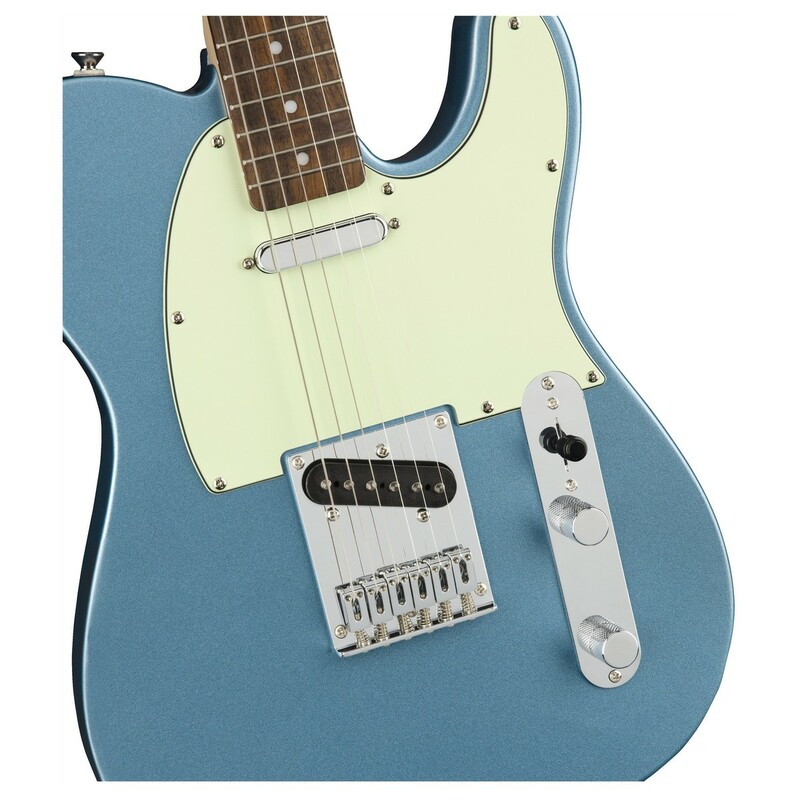 The rich history of Fender guitars begins with the Telecaster. An indispensable instrument, the Telecaster was the world's first successful solid-body electric guitar. Perfected after two years of development - and a name change or two - the Telecaster debuted in February 1951 and began its steady ascent towards the stage and studio. Ingeniously engineered with the ability to be heard both loud and clear, it was a marvel of simple design elegance and workhorse functionality. It is perhaps a fitting testimony to its essential original rightness that the Telecaster design has hardly changed ever since.